Informed insights from industry front lines. 5 Key Concepts for Financial Success to help you see through the noise of the marketplace in order to systematically make smart decisions about your money. Thank you! The whitepaper is on its way to your inbox! 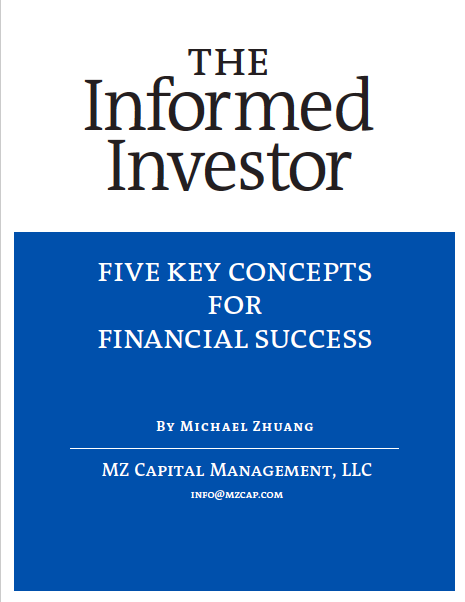 Generally, there are two types of licenses for people who call themselves a “financial advisor.” People who passed the series 65 test and people who passed the series 7 test.The nature of these two licenses are as far apart as heaven and earth. Series 7 is a securities license. People who have passed this test can legally be a broker.They are actually prohibited by law to give financial advice, except incidental to the financial products they are selling. A financial advisor with a series 7 license can receive third party payments like kickbacks, commissions etc in conjunction with the products they sell you. They are not required to put your interest first as they are not your fiduciary. Legally they abide by a much lenient “suitability standard.” That is, if they think the product is suitable for you, irrespective of the cost, they are legally off the hook. All of Morgan Stanley, Merrill Lynch and other Wall Street firms’ financial advisors are required to pass the series 7 license. Series 65 is an advisor license. People who have passed this test are legally called registered investment advisors or RIAs. An RIA’s compensation is in the form of fees paid directly by the client. He or She is prohibited to receive any third party payment unless disclosed to and approved by the client first. When searching for a financial advisor, it’s crucial to find out what licensure he or she has. Don’t use a broker as your financial advisor unless you’re in the habit of letting you friendly neighborhood used car salesman hand pick your vehicle purchases. Sign up with your email address to receive more monthly insights. Remember When Everybody Wanted to Be in Gold? This is where an experienced financial adviser can help. Let’s look at the fund vs. investor return of DFQTX, a DFA fund that is only available to investors through a DFA authorized adviser like myself. I rarely like to talk about the value of an experienced fiduciary adviser. But here it is – I can’t even hide it: over the past ten years, the investor return difference is 6.62% a year when the investors have a DFA authorized adviser!